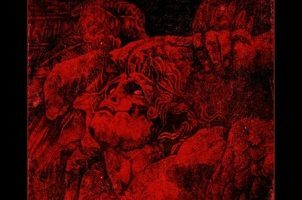 Tomas Lindberg’s year can already be considered a success based upon the glowing reception to The Lurking Fear’s Out of the Voiceless Grave debut. Lindberg, routinely cited as one of the best vocalists in extreme metal, continues to spread himself out among various bands, whether it’s The Lurking Fear or his At the Gates priority, apparently finding time along the way to jump in and front Israel’s Sign of Cain. 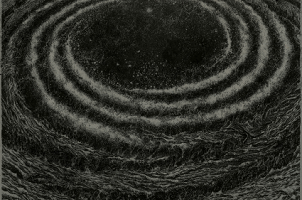 Hereby unknowns until now, Lindberg gives the band both a face and a voice on their To Be Drawn and to Drown debut. 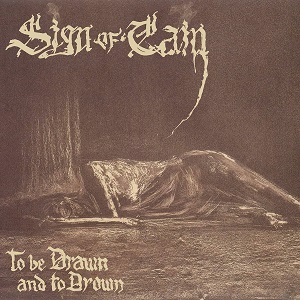 Hailed as more doom than melodic death metal, Sign of Cain indeed lay off the melo-death pedal for obvious reasons. The band’s sound is largely straightforward; no tremendous twists or turns, just a lot of basic pummeling on opener “Sign of Cain” or “Thunders Never Followed,” which includes a violin solo, something that should ring familiar for Lindberg considering At the Gates employed such instrumentation in their halcyon days. Never the matter, for additional melancholy can be found via instrumental “Remembrance and Pain” as well as the closing title track, which is easily the album’s most impactful number. Obviously, we know what we’re getting from Lindberg, who, after more than two decades of spewing his acidic vocals all over the place, is still mightily effectively. His pairing with Sign of Cain largely makes sense, even if it trends some familiar, basic death metal ground (more violin, please). Never the matter, a Swedish extreme metal icon and an up-and-coming Israeli unit ring true to these ears.